2018 was a year of notable achievements and memorable moments for the Loughborough family. Take a look below at some of our most notable achievements from Loughborough University London over the year. Loughborough University was named University of the Year for the second time – the first university in the history of the rankings to achieve this! The ranking is based on nine indicators including student satisfaction with teaching quality, graduate prospects and the wider student experience. We were also named number one in the world for sports-related subjects for the third year in a row, meaning we have topped the ranking each year since its inception! As well as this, we ranked 28th for Art and Design, and top 50 for Communication and Media Studies. Loughborough University has been ranked 4th in the 2019 Guardian University Guide, rising two places from last year! This year’s table has recognised 21 of our University’s 28 subject areas as top 10, including 4th in Media & Film studies, 4th in Design & Crafts, and 5th in Business, Management & Marketing. The Postgraduate Taught Experience Survey is an opportunity for our master’s students to give confidential feedback to their university about their experience. 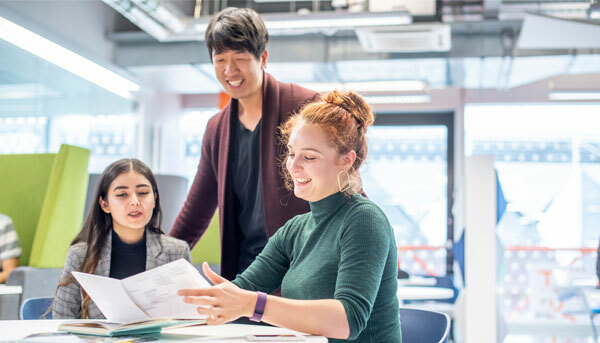 Loughborough University London received a collective score of 85% for total student satisfaction, which is 6% higher than the sector average and 4% higher than the highest performing Russel Group universities in the survey. As part of our Collaborative Project module, 881 postgraduate students worked in 166 multi-disciplinary teams to deliver on a brief set by one of our 32 partner organisations. Organisations involved included Chelsea FC, WaterAid and Mobike. In summer, Loughborough University London celebrated the launch of its partnership for the Global Disability Innovation Hub. The Hub aims to bring together academics, local communities, experts and people with disabilities to drive innovation through collaborative and creative thinking, ultimately making a positive difference to the lives of over one billion people with disabilities across the world. Dr Varuna De Silva, a lecturer from the Institute for Digital Technologies, has published an article discussing how the football industry is using Artificial Intelligence to inform smarter football coaching and how his research could change the way players and staff conduct post-match analysis. Professor Helen Drake and Dr Nicola Chelotti form part of the Economic and Social Research Council (ERSC) funded research project ‘28+ Perspectives on Brexit.’ The project looks at the UK’s negotiated withdrawal from the EU, specifically from the perspectives of the other EU member states (the EU27), and the EU institutions themselves (the + in EU28+). In October 2018, we welcomed 908 new students to the #LboroFamily as part of the 2018-19 cohort at Loughborough University London. We are looking to expand and grow in years to come!